Immediacy is one of my favorite things. I find deep happiness in a perky voice answering my call after only half a ring and in the same-day delivery option on Amazon. 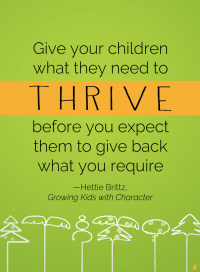 Wouldn’t parenting be a breeze if our efforts could bear same-day fruit? Imagine this: We’d call for generous sharing and – tadaaa! – our sons would offer their sisters half of their desert. Bliss. Well, I’ve tried teaching instantaneous good character, without success. When simply asking didn’t do it, I used other techniques. But kids know a bribe when they see one and the people at church can tell when a child was mom-coached to apologize for accidentally “packing” toys that weren’t his. Moses was what I call a Boxwood Tree. Boxwoods are used to make tuning pegs for musical instruments and are often shaped into perfectly pruned topiaries. My child with this personality type loves boundaries and perfection, but can seem to have a “grumbling gene”. You can probably guess which fruit I’ve had to work on? Yes, joy, contentment, and grace are hard for these kids to learn. When parenting young Boxwood Trees, every effort to help them practice gratitude and forgiveness will be well-spent. We pray that they will experience the joy of letting go even when they were right, and accepting an outcome even when it was not entirely fair. Our little Pauls, the kids I call Rose Bushes, can be prickly and confrontational, wanting to be the boss while still needing our help with their diapers. We can spend so much time on the power struggles that we miss the pride war altogether. Rose Bushes naturally have a blind spot for the value and goodness of others, while being all too aware of their own (albeit amazing) abilities. They tend to respect only the strongest and fastest and need our prayers to develop compassion, gentleness, goodness, and sincere interest in what others have to offer. We do the world a grand favor when we shape their hearts to celebrate even those who never come in first! Palm Trees are those jovial, talkative and optimistic kids, who – like Peter – speak for everyone and keeps confidence that all is well, or will be well in the end. Peter’s mouth made the right sounds but his will and body did not always follow his quick words. My Palm Tree kid could very well be quick to promise, to seek applause, and to say “Yes, I will, Mom!” and then even quicker to abandon ship when there is fun to be had elsewhere! If you’re raising a Palm Tree too, pray with me for steadfastness to stick to what’s right, even when their peers party in the opposite direction. Let’s pray for godly friends and sound judgment. Pine Tree kids are steady as an Abraham, willing to give “the best part of Canaan” to someone else, as Abraham gave to his nephew Lot. Like him, our peace-loving Pine Tree child wants to please me, avoids conflict, and doesn’t usually stand up for herself when I want her to. What can really obstruct her purpose, though is the resistance to leaving her comforts zone, to give up security in exchange for blind faith and to boldly take the future God has for her. Our prayers will have more power than our pressure, though! 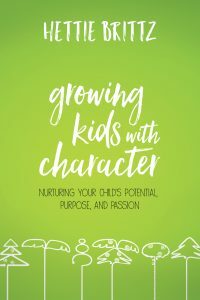 Every God-fearing parent has a choice: Do what society says will produce immediate success, or choose the longer garden route: focus prayers and patient pruning on what will shape our kids’ hearts towards their purpose in God. 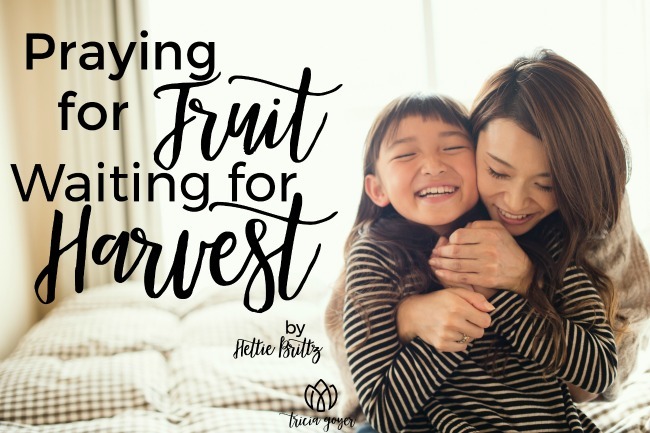 Doing the latter, we’d be doing exactly what God is doing with us – pruning our will according to our nature while waiting patiently for the harvest of sweet fruit to come in. 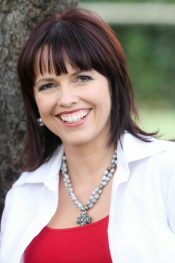 Hettie Brittz is a South African–born author, international speaker, and a foremost voice in parenting advice and personality styles. She is the author of (un)Natural Mom, the developer of the Evergreen Parenting Course, and the co-developer of Tall Trees Profiles. She heads up Tall Trees Consulting (USA). Are you new here? You might want to subscribe to my email updates or follow me on Facebook, Twitter, Pinterest, Google+, or Instagram.